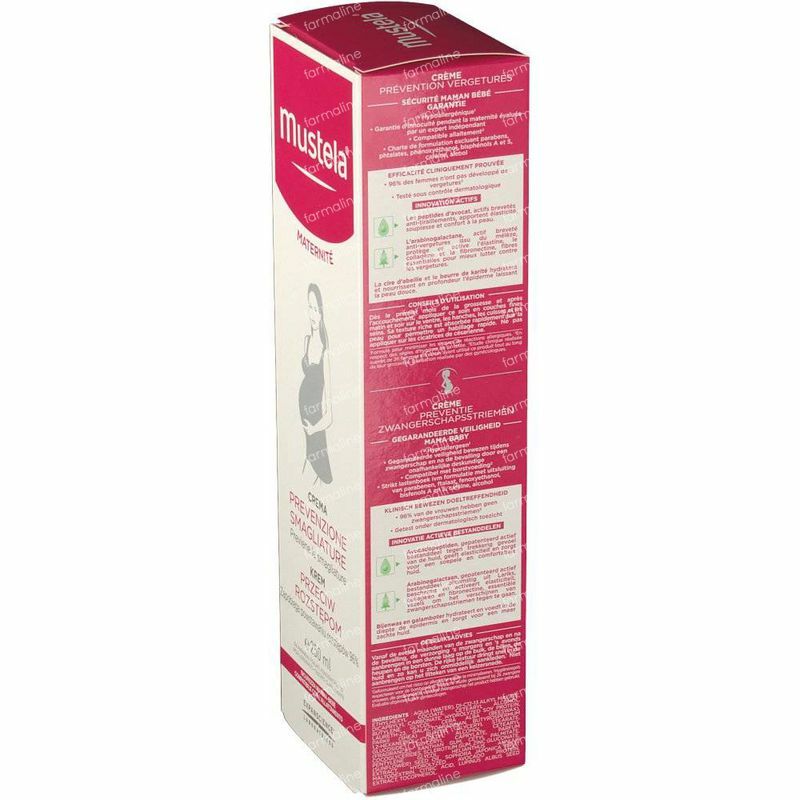 Mustela Maternité Stretch Marks Prevention Cream With Fragrance 250 ml order online. A fragranced stretch mark prevention cream with nourishing and repairing complex. Starting from the first month of pregnancy and after birth, massage this product on the abdomen, hips, thighs and breasts, in the morning and evening. Massaging until fully absorbed. The rich texture is easily and quickly absorbed into the skin.